Last Saturday 6th June, we had the second annual Martin Duggan Memorial Swim in the River Blackwater in Fermoy. 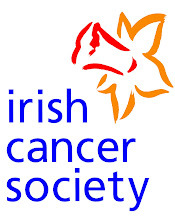 This year the swim was held under Swim Ireland insurance, so we had a good incentive to make it a great event for everyone. Apart from the record turn-out of 45 swimmers, we had a fantastic effort from a large number of volunteers. We had 5 main boats, with two crew members each and radios, so many kayaks I lost count, 5 river-siade marshals, about 10 people who were making sandwiches, cakes, tea, coffee and many more who were just willing to help. 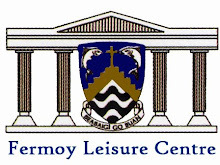 A special thanks fo course is owed to Fermoy Rowing Club for the full use of their facilities on the day. All the swimmers and volunteers were early so we were able to have the safety briefing on-time and have all the swimmers in the water by 2pm. But of course, at 2 o'clock on the dot, in typical Irish fashion, it started raining and all the sheets were destroyed which made things even more difficult for our brave time-keepers. The first swimmers home were Stephen Brooks and Conor O'Brien, both 12 from Mitchelstown, who did the 1km swim. Going over the results of previous swims, we discovered that Stephen was not only the youngest participant, but also the fastest swimmer over the 1km distance. Well done lads! 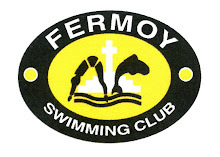 Both Stephen and Conor train 7hrs per week with Fermoy SC. After a long stint out in the wind and rain, our timekeepers were finally able to go and get warmed up inside when the last swimmer home, Finbarr Heddderman, finished up after 2hrs 46mins. Last year Fin swam the English Channel in 13 and a half hours at the same temerature... Yes it was only 13.5 Celsius! I would just like to thank all of the following people for their help on the day: Danny Higgins and Ken Barry of Fermoy Rowing Club for the use of the Clubhouse and the piloting of the two launches, Blackwater Sub-Aqua Club S&R Unit for their presence in a safety capacity both in the RIB and on the bank, Tony Hally for giving up his day to bring his own boat out on the river, Dónal Clancy for rounding up all the kayakers from Pheonix Kayak Club who dod such a great job and for providing the car-park of Quinn-healthcare, my Mam and Brigid Noonan and everyone else who made sandwiches and cakes etc. and finally Pádraig Barry who took hundreds of excellent photographs. Appologies to anyone who I have forgotten to mention.